So as we have always tried to keep things quite personal on NB Gallery, and continue to play a part in the NB community, we want to use our platform to check in with the people who play or have played very important roles over the years when it comes to New Balance. So first up, we’re giving you an insight into TeamNB. Before the creation of New Balance Gallery, during the early days of our Instagram account, and still to this day, we have always had the support of the guys over at TeamNB, and for that, we are extremely thankful. 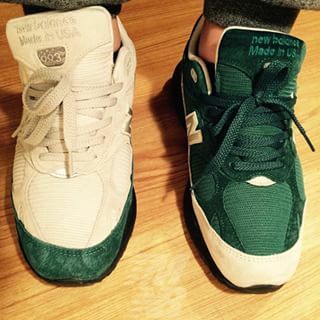 Our account began in early 2013, and New Balance content on Instagram was really few and far between around then. There was only really a small group of people who were regularly posting New Balance content, and TeamNB were an integral part of that group, and we knew that we could always head over to their account and we’d have plenty of on-foot shots of NB to post. We spoke with Dennis Stunna, otherwise known as #StunnaMan, of TeamNB and put some questions to him. My name is Dennis, and I manage the TeamNB Instagram account, as well as being the secretary, event planner, etc, etc. Professionally, I am the head designer for a brand called 10.Deep. 2. How did @TeamNB come about? 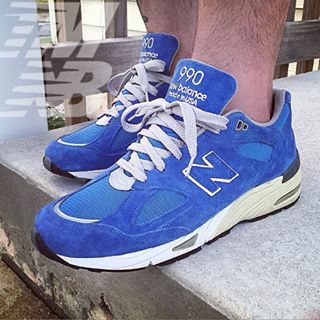 TeamNB came about on Niketalk, in the New Balance sub-forum where we would obviously discuss New Balance, releases, cops, etc..
On one particular release, I think it was the Mita 574 Mojito, there was conversation about who was getting the release and how many pairs, etc. People were dropping great info, but most guys ended up getting the short end of the stick by lurkers coming onto the site and snatching info, grabbing the shoes and trying to turn around and resell them. So most of the guys that posted on the sub-forum got fed up with that and we decided to make a private team dedicated to helping each other out with releases at of course, retail. Me and a couple other guys decided to take it to a private Facebook group and it grew from there, we started initially with 20 members, with a membership application and voting process, and this was to just weed out the people that were only in it to resell and didn’t have the dedication or passion for the brand. 3. Is it good having such a tight knit community of NB heads? I think it’s very important, especially in an age where people only look out to make money on others. Reselling is at an all time high, so I think it’s very important to have guys you trust to help you out in case there’s a drop where you’re out of town, won’t have internet, or just really want the shoes and are willing to have more hands on deck for you. Over the years (almost 3 now) TeamNB has grown to have 40 members worldwide, and we are a tight knit group and still have an active application process for people that want to join. We do giveaways for our followers out of our own pockets to show our appreciation to everyone when we can. 4. 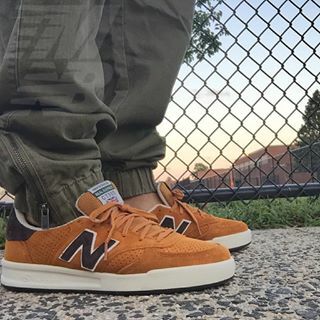 Your personal favourite New Balance shoe and why? My personal favorite models are the 993 US and 990V2 UK. I just love those models, 993 mainly cause it was on the customization table for so long and I got to do whatever colors I wanted, there hasn’t been one that I’ve done that I don’t get compliments for, especially my 993 ‘Left Overs’. 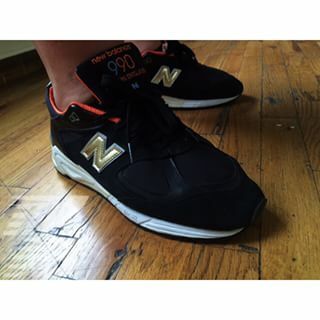 The 990 I just think it’s the best UK model, I do love the 990V2 US, but I prefer the sole on the UK version. 5. USA, UK, or Asia – which division of New Balance is the one for you? I would have to say USA. Maybe being a little biased being from the US, but I just love and prefer US made models, this is where the company started and is rooted. Even though I must say UK makes some of the best models to date 1500, 990, 991, 576 etc. I also love the fact that NB UK pays attention to their consumer especially in the lifestyle end of things, hopefully NB US will pay more attention to us in the future. 6. If you could have any possible New Balance collaboration, what would it be? 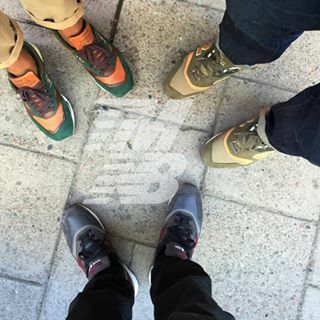 TeamNB x New Balance of course! A big thanks to Dennis for taking the time out to talk to us about TeamNB, as well as touching on some of favourite models. Be sure to head over to Instagram and drop the guys at TeamNB a follow.